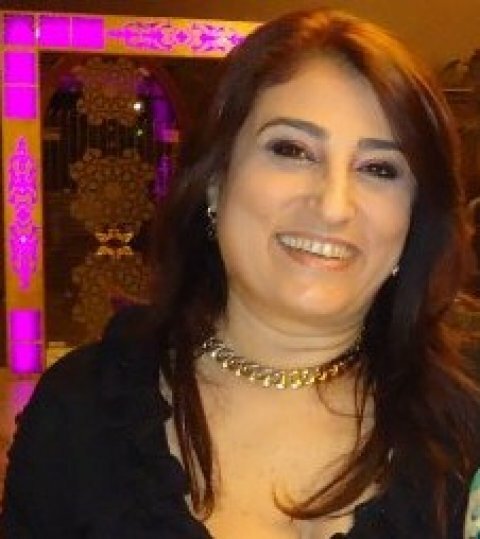 I am a Lebanese Armenian, my spiritual journey has been so exiting!! And led me to the School of Remembering of Drunavalo, to become a teacher of Awakening the Illuminated Heart workshops,my first language is Armenian & my second language is Arabic, Drunvalo said to me putting his right hand on his heart, "I have always wanted this knowledge to reach the Mediterranean area & the Arab world, they are my sisters and brothers, and if you are the one to take it to them so be it, you have my blessings." Do You feel it's time to remember who you are? I am very humbled and honored to be able to assist you in your journey to remember. أ�?ا �?ب�?ا�?�?�?ة �?�? أص�? أر�?�?�?�? تجارب�? ف�? ح�?ات�? ا�?ر�?حا�?�?ة �?ا�?ت �?�?ا زا�?ت ج�?�?�?ة جد�?ا!!! أخذت�?�? ا�?�? �?درسة ا�?تذ�?�?ر �?در�?�?فا�?�? �?�?�?�?�?ز�?د�?�?�? �?أصبحت استاذة �?صد�?�?ة �?�?ذ�? ا�?�?اد�?ة : صح�?ة ا�?�?�?ب ا�?�?ست�?�?ر. �?غ�?ت�? ا�?أ�? ا�?أر�?�?�?�?ة�? �?�?غت�? ا�?ثا�?�?ة �?�? ا�?عرب�?�?ة�?. �?ا�? �?�? در�?�?فا�?�? �?�?�? �?ضع �?د�? ا�?�?�?�?�? ع�?�? �?�?ب�?�? "�?�?ت دائ�?ا أت�?�?�?�? أ�? تص�? �?ذ�? ا�?�?ع�?�?�?ات ا�?�? �?�?ط�?ة ا�?ش�?ر�? ا�?أ�?سط �?�?�?�? ا�?عرب�? ف�?�? اخ�?ا�?�? �?اخ�?ات�?�? �?اذا �?ا�? �?�?د�?را أ�? تت�?�? �?ذ�? ا�?أ�?�?�?ة �?�? خ�?ا�?�?�? ف�?ت�?�?�? �?ع بر�?ات�?